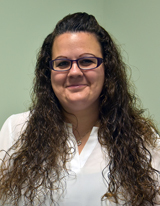 OSWEGO – Oswego Health Home Care welcomes Carrie Butler, RN, who has more than 13 years of home care experience as its director of patient services. In this position, Butler will work with staff members to develop patient care plans that best meet their needs, as well as determine if patients being discharged from the hospital can benefit from OHHC’s many services. OHHC is a certified home care agency offering convenient and professional care to patients in the comfort of their homes. Staff members are available 24 hours a day/seven days a week and can provide skilled nursing, rehabilitation services and support services. These services are designed to assist patients to remain independent and to prevent future hospital stays. Butler, a registered nurse, began her healthcare career as a home health aide and advanced first as a case manager and later as a manager of clinical practice, where she coordinated patient home care. She said she was inspired to pursue a nursing career after observing the care two close family members received when they were severely ill. Her position at OHHC is a homecoming of sorts, as she worked as a registered nurse on Oswego Hospital’s fourth floor shortly after earning her Associate’s Degree from St. Joseph’s College of Nursing. Butler later went on to earn both her bachelor and master degrees in nursing from Roberts Wesleyan College in Rochester. Along with working in the healthcare field, Butler has been an adjunct clinical instructor, providing instruction to future nurses. A graduate of the Mexico Academy and Central School, Butler still resides in the area with her husband and two children.